In this post you're going to know about an awesome Amazon BHIM UPI offer. You'll Get 10% Cash back on all orders. Important Note : Un tick Recharge instantly from your Amazon Pay Balance. otherwise the Recharge amount will be deducted from your Amazon Pay Balance. After completion of above process tap on Pay button. Now, You're at the payment page. 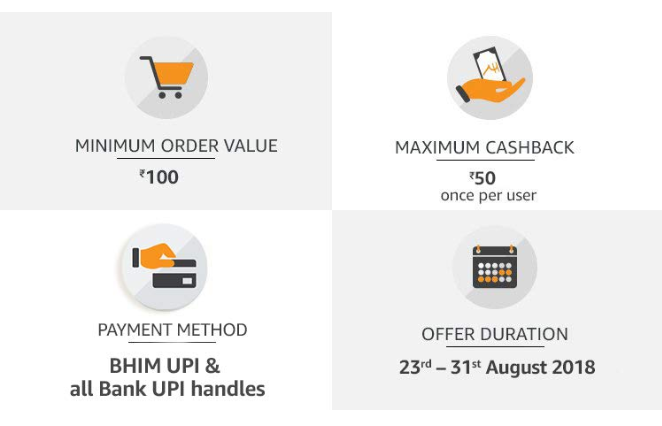 At the payment page select the payment method as BHIM UPI and enter your BHIM UPI Address and complete your payment.